At first, you are comforted by the words of the researchers who assured you that the animal cannot get out of the cage. Shortly after this, an announcement comes over the speaker informing you that in sixty seconds they will be releasing the animal by remotely opening the cage door. “Stay calm,” he says over the loudspeakers. He then says that to be fair, he wants you to know what is in the cage, and announces that it is a 1500 pound, 10 foot tall Kodiak Grizzly Bear. Stop! What do you think your heart rate is doing? How about your blood pressure? Your breathing rate? Yes, you guessed it, they all are skyrocketing UPWARDS. The researchers didn’t let the bear loose of course and the study is now over. I love this story because it reveals so many things about stress. First, it shows us that mental stress is real, and your physical body responds in all emergencies, whether they are perceived or real. Second, it shows us that genetics have nothing to do with your stress response. You can no longer blame your genetics for most of your physical health issues. Finally, it demonstrates that we all need solutions to the metaphorical ‘Grizzly Bears’ in our lives. Whether they exist in our relationships, home life, work life or financial life. 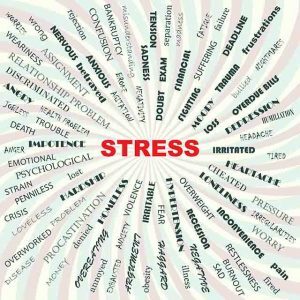 If you want solutions to help your group better manage stress, click here to schedule your brief introductory call with one of our team members if you haven’t yet! We look forward to serving you!